Want to create with your 3Doodler® but not sure where to start? 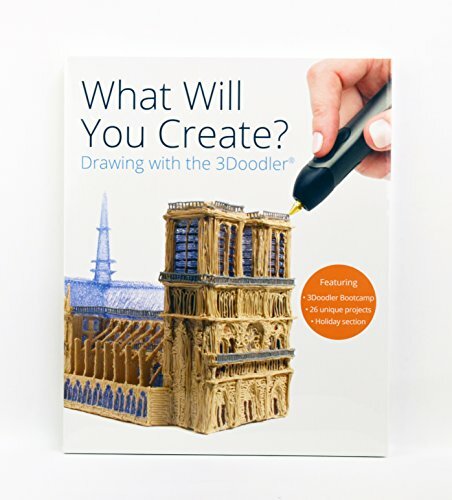 This book will guide you through the basics of how to use your 3Doodler 3D printing pen and take you on a journey all the way from beginner to master Doodler. for the 26 exciting step-by-step projects that follow. Shared by our own 3Doodler Community artists, the projects range from simple to challenging, making learning fun and easy. We’ve even included a special multi-project Holiday section to help you put your own creative spin on decorating for those special celebrations. Packed with inspiration, this book will leave you designing your own impressive creations. The only question left to ask yourself is: What Will You Create? and inspiration for so much more!